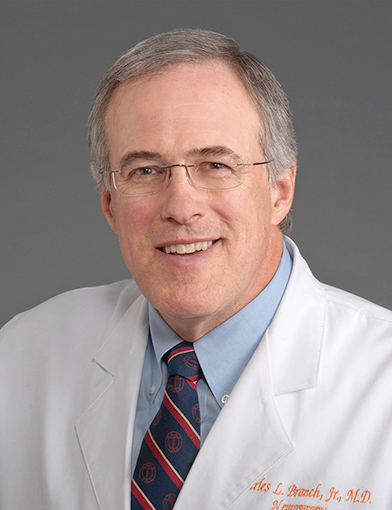 Dr. Charles Branch is a neurosurgeon at Wake Forest Baptist Health in Winston-Salem, North Carolina. January 25, 2019I have never had a bad experience in *Dr. Branch's care. He is always on top of his profession! January 14, 2019Dr. Branch took extra time to check the pain in my left hip and side. December 4, 2018I have recommended to several people. November 26, 2018*Dr. Branch is wonderful. November 11, 2018This care provider was a referral by my PCP. All of my experiences with this provider has been excellent. I spoke to some of co-workers about my situation and they told me I have the best doctor for my situation and I have to agree I feel like I have the best. November 6, 2018A pleasure to talk to. September 21, 2018This provider is very much in demand, however he has always satisfied my expectations and needs. August 20, 2018Dr Branch is wonderful. I have recommended him to several people. July 5, 2018Dr. Branch explained everything completely and showed great concern for my well being. I am very pleased with the care I am receiving from this office. June 21, 2018I trust *Dr. Branch. June 12, 2018After finally meeting Dr Branch I am totally confident in my up coming surgery on June 15th. Being in so much pain made the wait time difficult. Everything about him before having surgery is a 10. June 4, 2018I feel very blessed to have Dr. Branch as my neurosurgeon. April 23, 2018Dr. Branch is great and I feel very confident in his ability to help me. April 17, 2018I never felt rushed during discussions. March 13, 2018Dr. Branch is always concerned about me when I see him. March 12, 2018Great place, Great People!!!! A review of Big Data analytics and potential for implementation in the delivery of global neurosurgery. West JL, Fargen KM, Hsu W, Branch CL, Couture DE. Neurosurg Focus. 2018 Oct; 45(4):E16. A call for consistent radiographic definition of lumbar lordosis. Frenkel MB, Frey CD, Renfrow JJ, Wolfe SQ, Powers AK, Branch CL. J Neurosurg Spine. 2018 Aug; 29(2):231-234. Occipital Condyle Fractures and Concomitant Cervical Spine Fractures: Implications for Management. West JL, Palma AE, Vilella L, Fargen KM, Branch CL, Wolfe SQ. World Neurosurg. 2018 Jul; 115:e238-e243. Intrawound Vancomycin Decreases the Risk of Surgical Site Infection After Posterior Spine Surgery: A Multicenter Analysis. Devin CJ, Chotai S, McGirt MJ, Vaccaro AR, Youssef JA, Orndorff DG, Arnold PM, Frempong-Boadu AK, Lieberman IH, Branch C, Hedayat HS, Liu A, Wang JC, Isaacs RE, Radcliff KE, Patt JC, Archer KR. Spine. 2018 Jan; 43(1):65-71. Novel placement of cortical bone trajectory screws in previously instrumented pedicles for adjacent-segment lumbar disease using CT image-guided navigation. Rodriguez A, Neal MT, Liu A, Somasundaram A, Hsu W, Branch CL. Neurosurg Focus. 2014 Mar; 36(3):E9.